I love the Australian magazine Frankie. Gorgeous drawings, hilarious articles and anecdotes and pages of funky accessories that I’m not hipster enough to buy but alternative enough to enjoy staring at. It’s on beautiful paper (I get weird looks when I say that, but it’s completely true and any other bibliophile will understand) and satisfies my print magazine craving in a way that only a few magazines can. 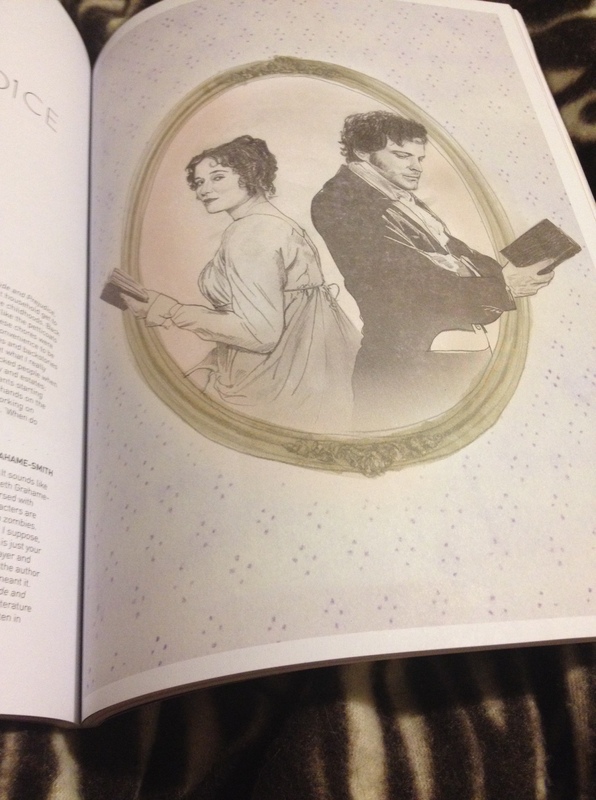 Imagine my surprise today when, in Issue 64, I flicked open to a gorgeous picture of Mr Darcy and Elizabeth Bennet (based on the BBC Colin Firth and Jennifer Ehle drama), both reading and facing in different directions. Love love love it. So, where exactly is this Longbourn place anyway?